Soy Luna wants to change the look and wants your help to dress the coolest outfits that are in your closet. Pay attention to the protagonist of Soy Moon to dress outfits she chooses. You have a limited time to dress properly, otherwise you'll have to start over. 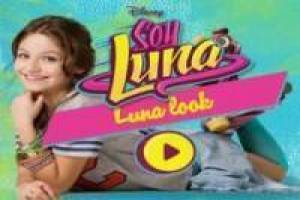 Enjoy the game Soy Luna dress up, it's free, it's one of our Soy luna games we've selected.